Toddlers are bath-opportunistic. Every bath is their bath. So this morning I was having a nice relaxing soak, playing some TwoDots, and suddenly two three-year-olds were peeling their clothes off and climbing in too. Henry informed me that the red line meant hot and the blue line meant cold, which started a spirited debate about whether there was hot or cold water in the tub (spoiler: both!) I realized they didn’t know the story of Goldilocks, so I tried to tell it to them. It was lucky they weren’t familiar with it because I forgot half of it and they didn’t mind. Later I looked it up, but I didn’t see any references to modern retellings (in book form – plenty of TV shows), but I also didn’t look that hard. Goldilocks started out as a dirty, sneaky, poor, and unlikeable old woman, and the bears were three tidy bachelors. So make of that what you will. 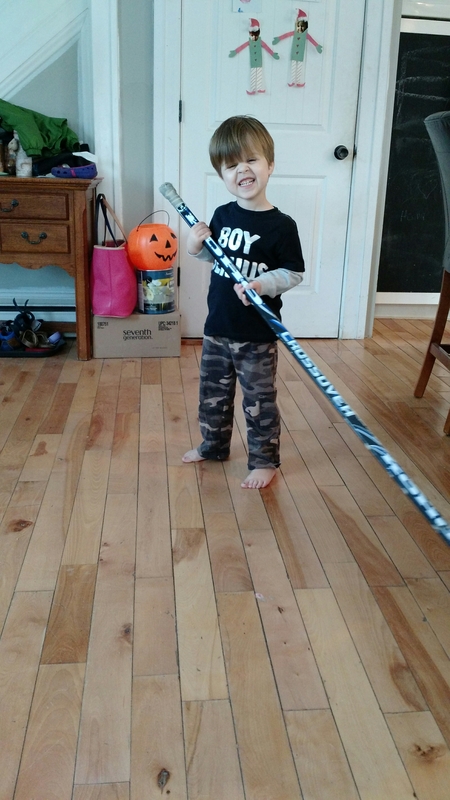 In a few minutes we are packing up to go see Bob play some hockey, and the kids are in the spirit.